Hospitals and birth centres prefer you to use electric oil burners rather than those with a flame. These are safe, clean and convenient. Hospitals and birth centres prefer you to use electric oil burners rather than those with a flame. These are safe, clean and convenient. The vaporiser temperature remains constant when left on. This electric oil vaporiser, by Aromamatic, eliminates the potentially dangerous naked flame, oily hot water and messy candle wax, providing a safe, clean and more efficient way to enjoy the therapeutic benefits of aromatherapy. 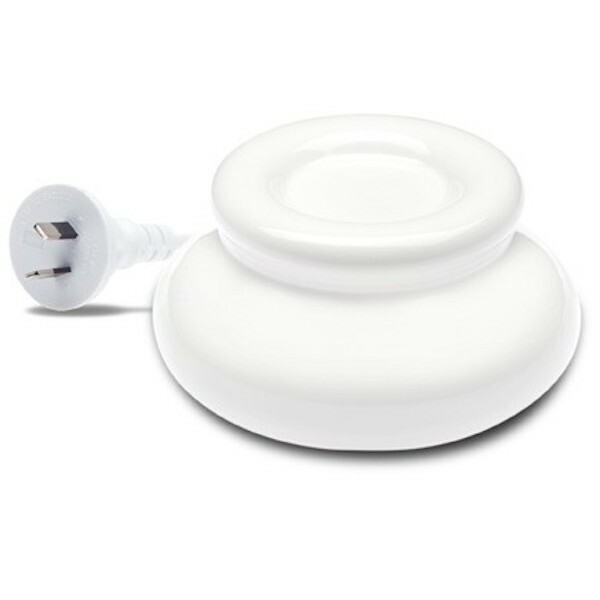 This highly economical ceramic appliance provides a low-cost, eco-friendly way to enjoy your favourite pure essential oils and blends – either during birth, or at home. 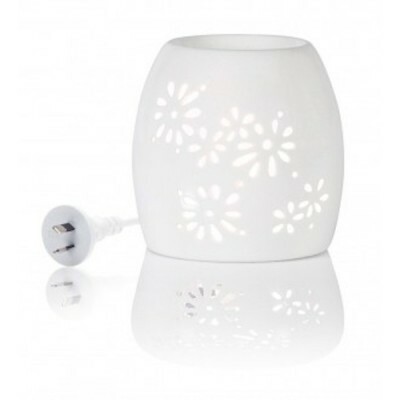 Designed to maximise the effectiveness of vaporising pure essential oil, the electric essential oil aromatherapy vaporiser operates at a constant minimal temperature, allowing gentle vaporisation. No water required either, just add 8-10 drops of your chosen essential oil or blend to the bowl, and enjoy it while you labour. Great for using before the birth if overdue, or afterwards – no hot oily water to spill or flames to burn.